Toomas Talts spends most his time outdoors. 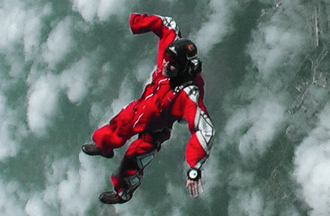 He is the only person who does base jumping in Estonia. Thrilling jumps take place 50-200 metres high without a parachute. Why is it necessary to put one’s life to danger? To whom and what needs to be proved?